The Department of Treinta y Tres Uruguay has lots of historical significance associated with it. The name of this department was bestowed on the area many Historical years ago when this South American Nation was mired in a battle for sovereign rule. 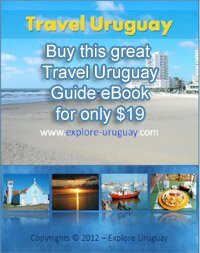 This region of Uruguay is not nearly as popular with tourists as the Uruguay beach resorts and larger Uruguay cities that can be found in the Department of Maldonado Uruguay or the Department of Montevideo. Even so, it appears that gradually more outsiders are discovering the special features and history that these more rural Uruguay departments possess. During the mid 1800s there were many battles being waged for an independent Uruguay nation. These wars occurred in many areas of the country, and from 1839-151 a major fight had broken out between some of the commanders of the Orientales. 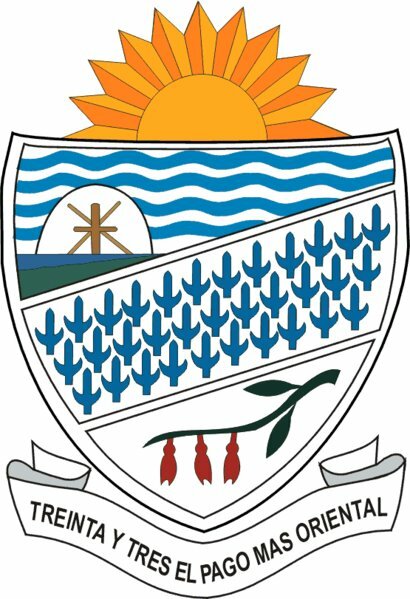 The Department of Treinta y Tres Uruguay shares its name with the capital city of this same territory. This Spanish name means the number 33. The designation is in honor of thirty three Orientale nationals who became heroes because of their dedication to the fight for Uruguayan independence. These men were not Uruguay nationals by birth but they came from Paraguay and Argentina when exiled general Jose Antonio Lavalleja was recruiting volunteer forces to pit against the Portuguese and Brazilian soldiers. These 33 men were part of the porteno forces Lavalleja assembled and they sailed through the dark of night to cross the Uruguay River and land on Agraciada Beach in Uruguay. These men were the first wave of saladeristas and ganaderos and they agreed to fight for Uruguay. It was Juan Manuel de Rosas who obtained the funding these new military missions required. Today there is an impressive marble monument that is standing in the Department of Treinta y Tres Uruguay. This is the Libertad monument and it was dedicated to these 33 brave volunteers. The names of these national heroes have been inscribed on the stone statue and the story of their fight for Uruguay freedom is familiar to everyone who lives in this beautiful South American nation. There are approximately 25,000 people of Uruguay inhabiting the largest town in the Department of Treinta y Tres Uruguay. Many smaller villages and outlying areas have extremely few, full-time Uruguayans. This Uruguay Department still can boast of a number of famous people of Uruguay including a former football star named Dario Silva. Serafin Garcia and Julio C. da Rosa are both authors who were born in Treinta y Tres. The Department of Treinta y Tres has kept much of its natural beauty over the centuries. Today it is a place with much to offer anyone who enjoys interacting with nature or spending time outdoors. One of the highlights of this department is Canada del Brujo. This forested land is unspoiled by modern development and is located near the Yerbal River. At this Treinta y Tres landmark attraction you will be able to spend long hours at the nearby mountains and waterfalls. In addition hiking, swimming, horseback riding, rock climbing and backpacking in Uruguay there is lodging available so you can spend additional time in this very secluded environment. Canada del Brujo for you to visit as well.